Over a summer vacation to the Bahamas, I ate at Chef Todd English’s Olives. The menu offers rustic Mediterranean cuisine: flatbreads, fresh pasta, a raw seafood bar, etc. While the entire meal was delicious, the highlight for me was dessert. I can never pass up anything with Nutella in it, so when the first item on the dessert list was a Nutella cheesecake, I put down the menu and was ready to order. It was so good that I came back for seconds at the end of the trip. This is my version of that cheesecake. At Olives, the dessert came with a sour cherry compote, sweet cherry gelato, and chocolate ganache. I keep my cheesecake simple. 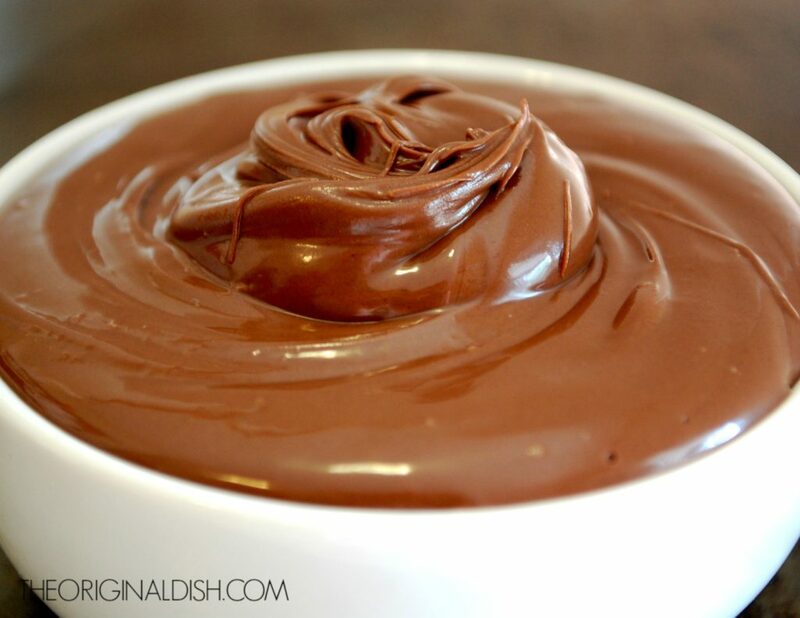 I add Nutella and almond extract to the batter, creating a chocolate, nutty flavor. In contrast to the light and airy cheesecake, I make a rich, buttery shortbread cookie recipe (that is just as good on its own) for the crust. 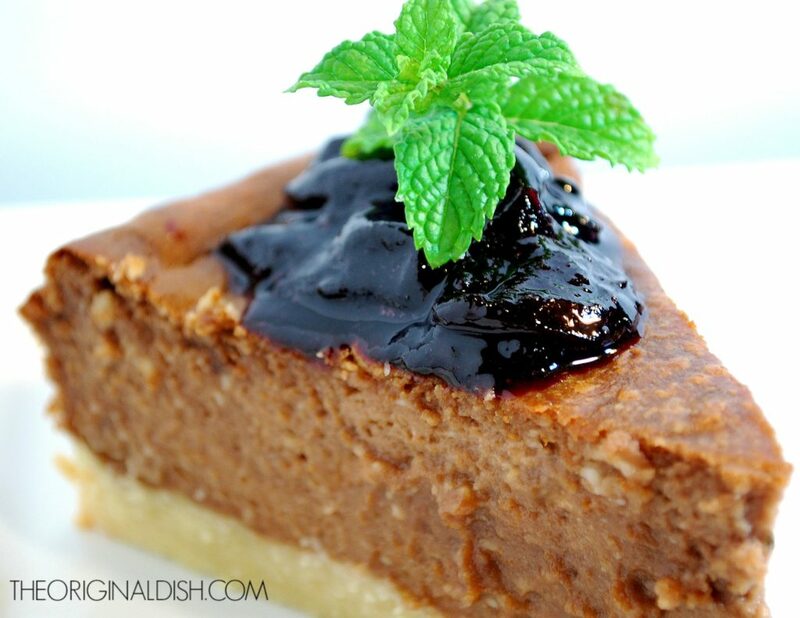 Sticking with the cherry-chocolate combination, I top the cheesecake with sweet cherry jam. With just two ingredients, you’ll be adding this jam to everything and anything. 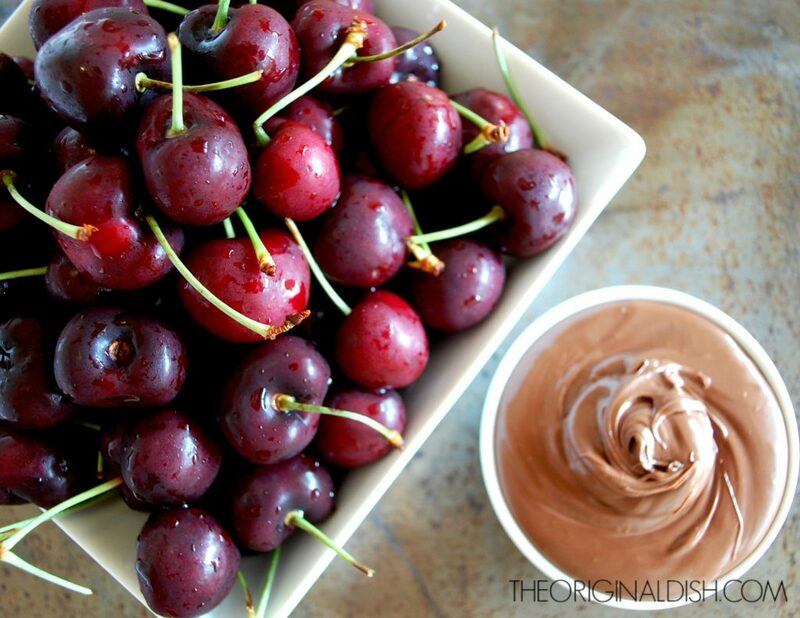 Use cherries when they are in season for the best tasting cherry jam. Sweet cherries are available from May to August. Combine the cherries and sugar in a medium-sized pot over medium-high heat. Bring to a boil and cook for 5 minutes, stirring occasionally. Reduce to a simmer. Cook the cherries down until thick, about 1 hour, continuing to stir. Preheat the oven to 350°F. Using an electric mixer, cream the butter and sugar together until fluffy. Whip in the egg yolk. Add the flour and mix until the dough pulls away from the bowl. Press the dough into a 9-inch, non-stick springform pan. Using a fork, poke holes into the dough. Bake for 10 minutes. Meanwhile, using an electric mixer, combine the cream cheese and Nutella until incorporated. Add the eggs, sugar, vanilla extract, and almond extract. Beat well. Pour the batter on top of the crust and bake for 40-45 minutes, until a toothpick comes out dry. 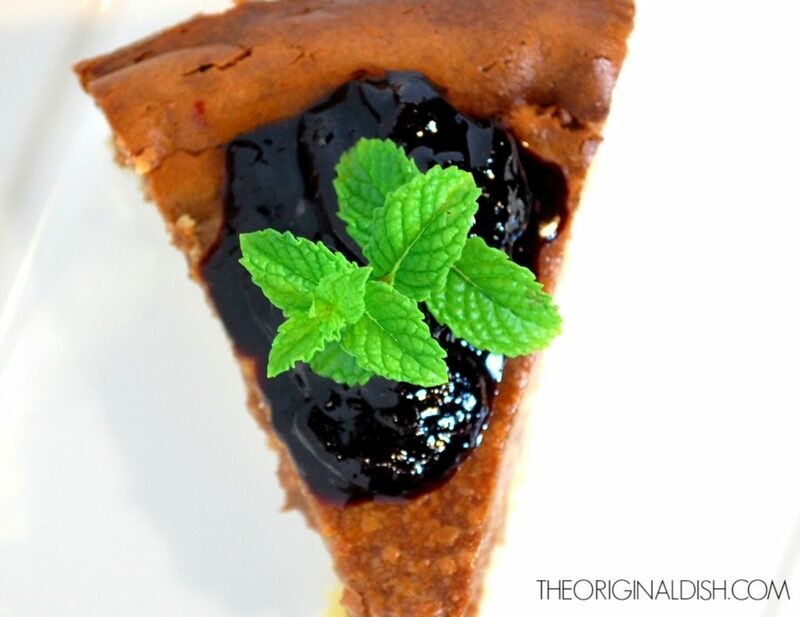 Slice a piece of cheesecake and top with cherry jam. You can also add a dollop of whipped cream, a sprig of mint, or both.